When the internationally-renowned Feng Shui Master Ray forecasts a predestined doom ahead, the only solution he knows is to find an ill- fated wretch to serve as the scapegoat of his mishaps. After meeting Pei Pei and knowing that she is the person he looks for, Ray purposefully woos her to keep her by his side. 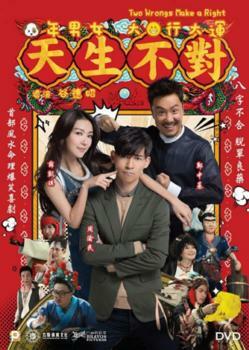 While everything seems to be under his calculation, Ray does not foresee that he would eventually fallin love with Pei Pei, the hapless girl with a big heart. However, their numerology is totally incompatible, which means their relationship will only lead to a series of unfortunate events.